Using options to make money when the stock market falls is a way that stock traders and investors can make money during stock market sell-offs, while those holding long stock positions lose money. The key to making money using options as the stock market falls is understanding how to buy put options that rise as stock prices drop. Not all put options are the same and not all will deliver the same amount of profit when stocks turn south. Therefore, it is important to understand which put options should be purchased to make money as stocks lose value. 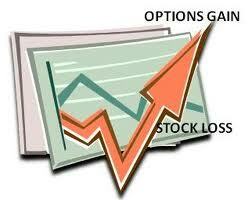 It is also important to thoroughly understand what put options are and how they are traded. There are many benefits to using put options to make money when the stock market falls. First off, who does not like to make money, no matter what the stock market is doing. Second, using put options can allow a trader or investor to safely press their long positions to make greater gains without concerns about a sell-off. Third, once the stock market has fallen and put options are cashed in, stocks are less expensive and can be purchased at discounts when compared to their peak prices. Strong stock market uptrends can cause problems for traders and investors that are seeking to utilize their cash positions to make money as the stock market rises, but do not want to overweight their long-oriented stock exposure, in case the stock market reverses and falls sharply. Put options associated with stock market indexes, such as the Standard and Poors 500 Index, provide a way to make money form stock market sell-offs. A put option is a contract that allows the holder of the put option to sell a specific amount of a stock or security at a set price by a specified date, which is the date when the option expires. The set price is known as the “strike price”. Buying a put option for a stock or security puts a trader or investor on the short side of the stock or security trade, meaning that they make money if the stock or security goes down in price, since a put option will increase in price as the underlying stock or security falls in price. One of the simplest ways to profit from a fall in the stock market is buying put options written against the Standard and Poors 500 Index tracking spider security, known as SPDR S&P 500 ETF (NYSE: SPY). SPY holds a basket of stocks included in the Standard and Poors 500 Index and tracks the movements of the index both up and down. You can buy put options that derive their value based on the where the SPY is trading. If the Standard and Poors 500 Index and SPY fall, SPY put options increase in value. Put options written against the SPY are priced in very small fifty-cent increments. This makes SPY put options quite useful for traders and investors looking to buy SPY put options at precise levels to make money off of downward moves in the Standard and Poors 500 Index. SPY put options are priced on a weekly basis and expire at the end of each week, usually on a Friday. It is important to keep in mind whether the SPY options you are considering buying cover a long enough time period to allow the stock market to sell-off. For example, you can buy SPY put options that expire at the end of the month of February, if it is currently February. You can also buy SPY put options that expire during the month of March or many months in advance, such as December, or even two years in advance. Just keep in mind that the further away from the current date, the more expensive the SPY put options will be. A SPY put option with a strike price of $210 might sell for $2.00, if the option is going to expire at the end of the current week and the SPY is trading at $212 per share. The same $210 strike price SPY put option might cost you $3.00, if it is set to expire a month later. A longer dated $210 strike price SPY put option that expires in a year and a half from the current date might cost you $20.00. For the purposes of effectively trading SPY put options, it is best to focus on either the current month’s options or nearby months, because these options are much less expensive than put options that expire in a year or more. This because the people who sell SPY put options have to ask for a higher premium for options that expire a year or more out to protect themselves from the additional opportunities that the Standard and Poors 500 Index has to fall over longer periods of time, which would cost them money. As the expiration date draws nearer, SPY put options gradually lose value. This is known as options “time decay”. What was once a $20.00 SPY putt option a year and half ago might sell for $2.00 to $3.00 as it nears expiration. This is why it is best to focus on near-term SPY put options, since much of the time decay has already occurred. If the Standard and Poors 500 Index falls in the near-term, SPY put options will gain value, regardless of any time decay that has occurred over time. Here is an example of how to use SPY put options to make money. The stock market has been on a tear and the Standard and Poors 500 Index and its tracking spider security SPY are making all-time highs. You suspect a pull-back in the stock market is coming due to upcoming Federal Reserve rate hikes next month. If SPY is trading at $212 per share as the market hits new highs, you could purchase 1,000 SPY put options with a strike price of $210 per share that expire at the end of next month. Each SPY put option costs you $3, so you pay $3,000 for the 1,000 SPY put options. As expected, the stock market reacts in a knee-jerk reaction to Federal Reserve rate hikes and the Standard and Poors 500 Index loses 5% of its value, sending the SPY down to $200 per share. Your SPY put options with a “strike price” of $210 are now selling for $9 per option, and you are able to cash-out by selling them for $9,000, booking a healthy 200% gain and netting $6,000. Keep in mind that if SPY put options expire and the SPY is trading above their “strike price”, the holder of the SPY put options losses all of their initial investment. It is a high stakes way to play the stock market that can either provide big gains or total losses. Did you ever wonder if it was possible to make money trading binary options by watching a pro trade? In this era of Internet communication it is possible, and a website called Binary Options Trading Signals can make it happen for you. Now there is no need to shy away from trading binary options because you do not want to learn a new trading system. Just watch over the shoulders of professional binary options traders and mimic their trades to make money. It’s that easy! While binary options trading is one of the easiest ways to make money in the financial markets, there is still a slight learning curve and a certain amount of judgment that must be made by binary options traders. Binary Options Trading Signals makes it even easier by providing professional traders to make trading calls for you. Those that are new to trading binary options or those who just want to take the guess work out of binary options trading and trade like a pro will benefit greatly by signing up for Binary Options Trading Signals live pro trader viewing service. Many traders do not trade binary options because they perceive them to be complicated financial instruments with hard to define risks; however, that is not the case with binary options. Unlike regular options that can have a variety of outcomes, binary options can only have two outcomes. Binary options either reach their payout level and pay the full amount promised or they do not reach their payout level and expire worthless. It can’t get much simpler than that! Binary Options Trading Signals live pro trader viewing service takes the gambling aspect of binary options trading out of the equation. Instead of having a 50% / 50% chance that your binary options trade will pay out and be profitable, your chances of placing a winning trade are dramatically increased, as pro traders put their sophisticated binary options trading tools and knowledge to work to identify winning binary options trades. Still wondering exactly what a binary options trade is and how it works trading by looking over a pro’s shoulders? 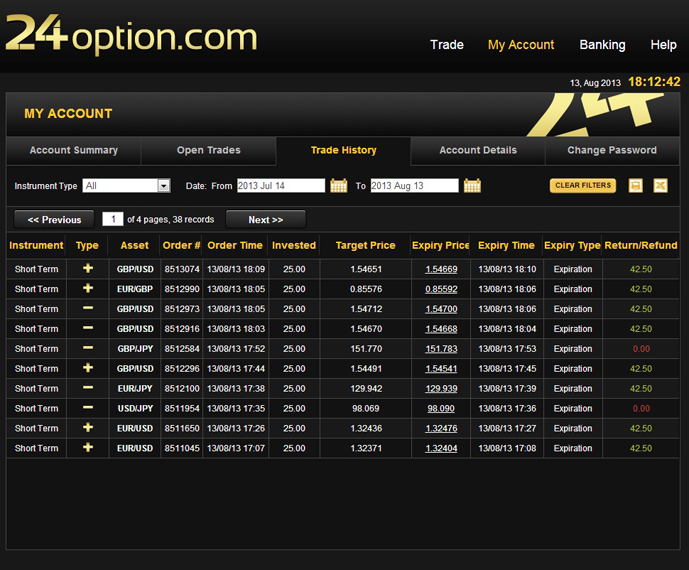 Here is an example of a binary options trade. 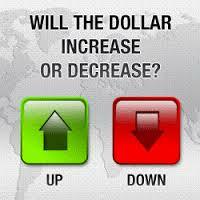 The pro binary options trader at Binary Options Trading Signals identifies a bullish trading pattern in the United States Dollar verses the Euro that indicates that the Dollar has a very good chance of closing above $1.26 per Euro by the close of the current trading session. The pro binary options trader places a binary options trade and buys a binary option at $100 that pays $180 if the Dollar closes above $1.26 per Euro when the closing bell rings. Seeing his trade, you buy the same binary option. Alas, the closing bell rings at 4 p.m. and the Dollar is trading at $1.27 per share. The binary option that was purchased for $100 is now worth $180. An easy $80 pocketed by just mimicking what the professional binary options trader did. Of course, that amount could be much greater if multiple binary options are purchased. Once you are comfortable with the pro trader buy recommendations at Binary Options Trading Signals, as you see them rack up the profits, you can mimic their trades to book profits for yourself along with them. Not a bad way to make a some extra money, or even start a new career trading binary options. How Great Would It Be To Let a Pro Show You When To Trade Binary Options? Let’s face it, every trader’s goal is to find a system that can easily make them money consistently without too much aggravation. That is the beauty of subscribing to Binary Options Trading Signals’ professional Binary Options trader trading buy recommendations. The pros do all the hard work, you just follow their lead, place your binary options trades, and in most cases make money. The professional binary options traders that work for Binary Options Trading Signals typically send out two to four binary options trading buy recommendations per trading day, so you have plentiful opportunities to profit from professional binary options trading recommendations. You are literally able to “look over the shoulders” of Binary Options Trading Signals’ professional binary options traders to see exactly what the traders are doing, so you can copy the professional’s binary options trades, and profit like a pro. It couldn’t be any easier! Binary Options Trading Signals are realistic about their profit expectations. They do not claim 100% trading success and guaranteed profits, even with professional binary options traders at the helm. Their goal is to come out on the winning side of enough binary options trades during a trading week to have a winning and profitable week overall, and they have the track record to prove that they consistently make money on a weekly basis. To sign up for Binary Options Trading Signals live streaming service that shows professional binary options traders in action, go to their signup page. There is no software to buy and nothing to download onto your computer. You just need an Internet connection capable of streaming video of the professional binary options traders and a binary options trading account to get started making money by mimicking professional binary options traders. Don’t miss out on this opportunity to make extra money. Surely, you can find many ways to spend the extra money you make trading binary options based on professional trader’s recommendations. Sign up today! 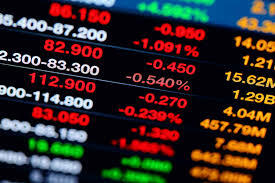 Binary options trading is one of the easiest ways of trading the financial markets and is very easy to learn. The reason why binary options are easy to trade is due to the fact that binary options can only have two outcomes. They either reach their goal and pay out the full amount of the trade or they do not reach their goal and pay nothing. For example, if you purchase a binary option that pays out if Apple Computer’s stock (NASDAQ: AAPL) reaches $600 per share at the end of the trading day, you either get paid or you do not get paid, based on where AAPL is trading at the end of the day. Simple, right? There are scores of binary options based on all sorts of financial instruments, from stocks to currencies to commodities. They are all based on the same principle; the underlying financial instrument either reaches a specified price level at a pre-determined time, or it does not. What if you could take the guess-work out of trading binary options and let specially designed binary options trading software make your binary options decisions for you? How awesome would that be? Just set up the software on your computer, open a binary options trading account, and start making money trading binary options. AutoBinarySignals.com shows you how. 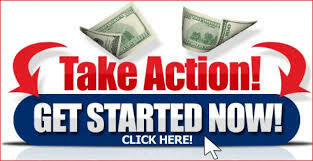 All you have to do is sign up for their binary options trading software. Binary options are essentially a bet regarding what the price of specific stocks, stock market indexes, commodities, or currencies will be at a future point in time. Their expiration is relatively short, being written cover anywhere from hours to days to weeks in the future. 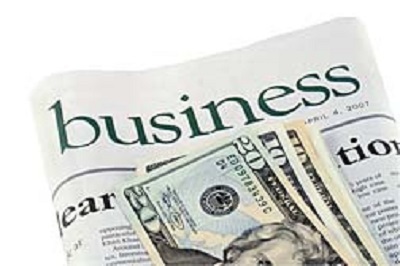 The purchaser of a binary option makes money if the financial product that the binary option is written against (stocks, indexes, commodities, etc.) closes above the target (strike) price at the time when the binary option expires. The amount of money that is made is a fixed amount that is spelled out as part of the options contract. If the binary option closes below the target price at the time of expiration, the option expires worthless. This is the binary nature of these options. They either pay a set amount of money, if they close about the target price at the time option expiration, or they pay nothing, if the target price is not reached at the expiration deadline. There are only two outcomes. Not a bad way to make some extra money. A $100 binary option could be worth $130 in a matter of hours, days, or weeks, depending upon the type of option you purchase. Of course, nobody wants to play binary options like they are red / black roulette bets, with the chance of making money 50/50. That’s where AutoBinarySignals.com’s specially designed binary options trading software give you the edge you need to make money trading binary options. With AutoBinarySignals.com’s software, you are no longer just placing a 50/50 bet on a binary option’s outcome, but rather using the power of the binary options trading software and making binary options trade decisions based on the software’s guidance. Would you be willing to pay $97 for software that gives you an edge in binary options trading? That’s all it costs! Not only does AutoBinarySignals.com’s Binary Options Trading Software automatically notifying you when to buy a binary option, but also when not to. No more guessing, no more fishing in the dark regarding when to buy binary options that have profit potential. Their proprietary trading software does the work for you. You just have to place the trade. 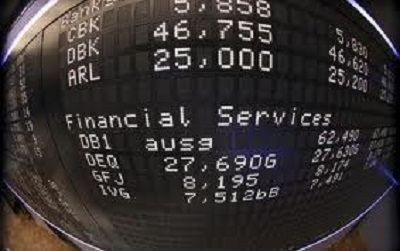 To ensure the binary options trading buy recommendations are solid calls, the software only provides buy signals when all five of the indicators are aligned together and indicating that a binary option is a buy. This is how AutoBinarySignals.com’s software is able to make such profitable binary options trading calls. It only recommends a buy when the five signals are indicating an overwhelming buy signal. AutoBinarySignals.com’s Binary Options Trading Software has an enhanced visual interface that runs on your computer and is easy to use. Furthermore, it is compatible with all binary option trading platforms. 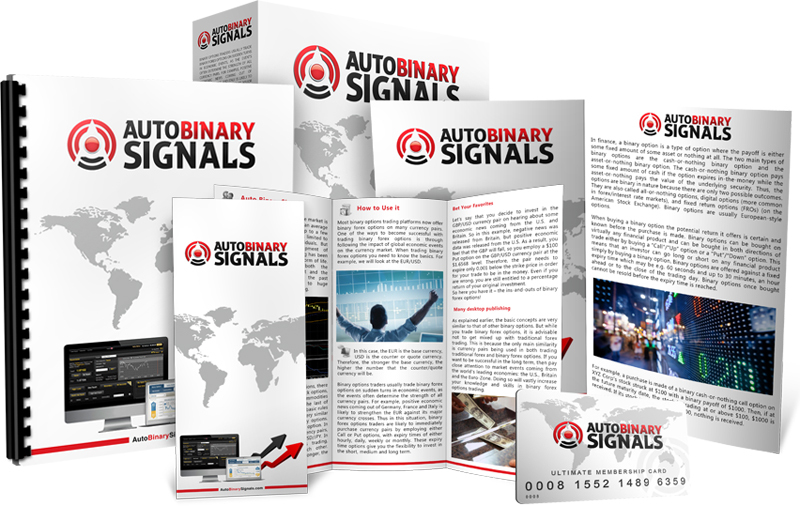 To buy AutoBinarySignals.com’s Binary Options Trading Software, go to their website and enter your email address in the space provided below the video presentation and select the Instant Access button. You will be sent an email with a link to AutoBinarySignals.com’s software sign up page. The cost for the software is only $97, and is fully refundable within sixty days of purchase, no questions asked. You have nothing to lose and everything to gain as far as making money in the binary options market by buying AutoBinarySignals.com’s Binary Options Trading Software. This offer will not last forever, so make sure you take a closer look at what they are offering and get a copy of AutoBinarySignals.com’s Binary Options Trading Software as soon as possible. China has a population of just over one billion persons. As the country had started to do so in the late 1970s and early 1980s, opening up their economy to western companies, the value China has become to the rest of the global economy is almost immeasurable. With new technologies and more fuel efficient vehicles being produced on a larger scale, the new market in China offers car manufacturers a new market and endless possibilities in factoring new profit in meeting new demands. Auto sales in China, by foreign auto makers has only recently become a solid and viable option, as the youthful generation, and the affluent alike search for global icons, especially American car companies, in the automobile industry, not the home based companies that have ruled China in the last few decades. China is home to roughly 1.3 billion people, with a geography nationally, that is very demanding. While we tend to think of China as huge land mass, the eastern coast of China is much more modernized than the interior. The Eastern Coast, heavily populated demands more fuel efficient cars, smaller, and more compact, while the interior which composes much more of a farming and ranching population, needs work trucks more than smaller cars. While there are domestic car manufacturers, the demands they are meeting are slim. Almost simply put; the production capability of Ford and GM, Volkswagen, and other foreign to China, car companies have the abilities and funding to meet the demands that have been growing in China over the last few decades. Japanese and Korean car companies already have a foothold in the Chinese market, being domestic and cheap enough to be easily attained, yet the American car companies have been doing just as well on their own, primarily on the used car market. While used cars are selling stateside with a premium, the manufacturers themselves, almost double their profits by shipping used cars overseas to meet the demands, of a hungry market, often unwilling to pay for new car prices. So China has become what was previously an untouchable market, offering a strong and stable platform for present and future sales. Unlike the Japanese or the German car companies that have been selling in China for the last few decades, the American car companies have only very recently broken into the Chinese market. Just like anything sold here stateside, something that is new, often is hard to keep in stock. The same principle is often duplicated where ever there is a new product open to the general population. 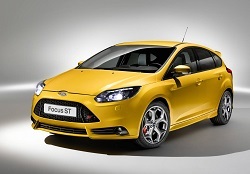 Ford alone last year, saw a 30 percent increase in sales over its other American competitors, just in China alone. Ford, rather than GM or Chrysler, currently stands to gain the most in China, simply for two main and constant reasons. The first being the overall management and forward thinking at the upper management level that has guided and continued to bring Ford overall success in any market, while we have seen the global economy slow depending on regional economic standings. Ford has pulled through these issues, standing out among its counterparts, drawing a clear line of success between them, and their competition. Here in the U.S. when the federal government had to bail out the auto industry, Ford was the only American company to turn down the federal money, and instead used its own capital to restructure itself and redo the company’s interior self vision or projected goals and success. The second reason Ford has the best and better chance to succeed in China over its American counter parts lies more in the different lines offered for sale to the general population. While GM and Chrysler may offer various brands, there is more limitation of what is being produced and offered for sale, at reasonable price invoices. 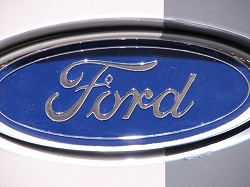 Whereas, Ford had been producing some of the strongest continual vehicle sales in North America for the last five decades, such a reputation is hard to kill even abroad. Along with their success with the F-150, Ford’s investment with the Focus and Fiesta has allowed for such versatility that the brand has been able to not only break into the Chinese market, but also create a demand all on its own and keep that demand afloat. Auto sales in China offer auto manufacturers and western nations the same benefits, that of a new and strong market. Capitalistic nations, like companies rely on the ever new markets to become the guiding light when looking to secure new profits and not over exhaust the market that they are currently a part of. American car companies have the most to gain in China because of production capabilities as well as the new effect in a region that has been historically closed to the other nations of the world, and by opening a new market, the creation of jobs will also follow, when there is an increase in demand. It’s a jungle out there and picking the right stocks with your hard earned money can be a task that rises your stress level, and makes the hours of research unbearable. Not everyone is a stock or investing guru. Yes it can be learned, but there is always a stepping stone, and mutual funds offer that to young, or unseasoned investors looking to wealth build. Mutual funds sound exactly the way they sound. A stock portfolio that is comprised of multiple stocks and bonds, funded by various numbers of investors. Essentially you and these other investors become mutual investors pouring your money into this portfolio and each investor essentially gets a piece of it, in ownership and selling ability for profit. And they don’t cost that much either when it comes to an initial investment. Buying up mutual funds can cost as little as a couple hundred dollars to a few thousand dollars, depending on what kind of portfolio you are looking to invest in. Now you wouldn’t manage your stock portfolio on your own. In most cases there is a fund manager that is placed in charge of the portfolio, and is set in charge of selling or buying new funds. So in essence, an fund manager is a lot like a government elected official that takes on the role of delegate. Someone who is placed in charge of running the show, while those that have placed the manager in charge may go about their daily lives and reap the benefits of the manager’s work. You and the other investors are paying this fund manager to manage your mutual funds based on their experience and knowledge of how investing should be conducted. There are many types of mutual funds that you can invest in, the most popular two being stocks and bonds. Traditional stocks and bonds are purchased for the portfolio and then divvied up between the many investors who invest their money into the portfolio. 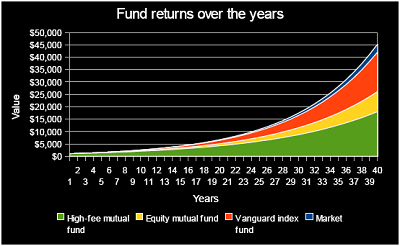 Just as you would buy or invest in a company’s stock on your own, the same would occur with a mutual fund. But the same amount you have to gain on ownership or the sale of a stock, you have just the same amount to lose on it as well. I’ve said it in the past, and remain committed to it still, that investing in bonds is a more safe way to invest your money for a better return. While bonds take time to mature, you are almost guaranteed back you initial investment plus the interest gained over the period of time you own the bond. The same application of these works when buying bonds via a mutual fund, because you are still investing in a bond. As stated before, the cost of the bonds that you would be investing in would be spread out among all the other investors. Taxes are applied to all those whom own stocks or bonds within the given mutual fund. So if your fund manager is able to sell stocks while they are much higher than the purchase cost, the mutual fund owners are subjugated to the taxes that are applicable to the stocks that have been sold off. The capital gains tax is required to be paid by each individual investor that made even a little bit of profit on the sales of these stocks. But you are a part owner in all of these stocks, and there is a down side. It is possible that you as a group would have to pay a capital gains tax, even on shares you may still own. Because it is the group that owns the mutual fund that is being taxed as a whole. So imagine the funds manger sells off stock, but you personally decide to hold onto that stock; so you maintain 10% of a stock with 90% of the ownership it sold off. While you personally maintain the last 10%, the government is going to tax you as a member of the group on the sale of the 90%. While the taxes may be a downside for the individual over the group, for the most part the membership of being part of a mutual fund still gives power to the individual investor by allowing for the cost of the investment to be subsidized by many investors. There are pros and cons to any type of investing. Mutual funds offer another option to investing by allowing for the cost of investments to be subsidized by a group of investors and managed by a fund manager that gives the mutual fund a better shot at making money. Having an investment group to help out with the buying and selling of these stocks and bonds, contributes to taking stress off of the individual investor and gives power to the group. Understanding stock options can be a valuable asset when being employed by a new company. In the past, stock options had only been offered to higher ups as an incentive to come to the company. As of recent, stock options have become available to the average Joe working within a company, which also helps to diversify the availability of that stock into different income brackets, opening up the buyer pool. In addition, over the years, many people who have taken a nontraditional route for compensation have taken stock options over paid compensation for work rendered and have come out far beyond what a salary would have paid. The availability of stock options has given many employees the opportunity to have a hand in their own retirement as well as their ability to wealth build in their own lifetime. Regardless of employment type or status within a given company becomes irrelevant as all employees ten to be open to purchasing stock options, giving way for new investors to enter the pool of funding their own well being. Continue reading to understand the basics of stock options. The first step in being able to attain and have stock options, is understanding what they are in the first place. Stock options give an employee the opportunity to own stock in their company of employment. Not unlike how government bonds work, stock options often act as an incentive for employees to work more efficiently because the survival and profit of the company is now also a vested interest. Employees are given a number amount of how many stocks they are allowed to purchase over a set period of time, often at a discounted price than what the stock would be selling at on the trading floor. There are two main or common types of employee stock options: Incentive stock options, and non-qualified stock options. Availability of these options are usually only available to certain types of employees. So while stock options are open to most if not all employees, these two types are only available to different types of employees. Non-qualified stock options are usually open to be purchased by the lower level employees. But there is an advantage to them. These types of stocks can be sold off at a discounted price, from the stock market’s trading price. They can also be handed down to children or written over to charities, if such action is allowed by the employers. Incentive stock options are usually only offered to the execs, because they carry more clout and pay out. But the name is not misleading, they are specifically designed and offered to higher ups as incentives to work for specific companies. The difference between these other than availability to whom they are offered, but the way they treated via taxes. Usually profits made off of stock options are treated with a higher tax against them, also known as the capital gains tax. Incentive stock options are taxed at a lower rate than other would traditionally be applied to other kinds of stocks. Now that you have a base understanding of what stock options are and how they are taxed, it is important to understand how to sell them as well. Selling your stock options is often frowned upon, because the traditional practice in play, dictates that you should sit on your stock options. The idea like any kind of long term investments, would dare the investor to understand how the stock should work and look at a more long term profit than that of a short term gain. Often with employees seeking stock options, that is the very practice that is being applied, unless you are looking for a short term kind of employment. But you should ideally want your company to grow and with it your stock price. If you are buying it at a discounted price, that doesn’t mean that you are selling it at the discounted price. In fact, when it comes time to sell you would be selling it off at full market price, meaning that you would be making a profit and then some, because of the discount on every stock you purchased in the first place. Stock options are a great way to plan for your savings or retirement because they give you a hand in your own destiny. If the company you are employed by offers the ability to transfer your stock options to your children, it becomes possible for multiple generations to own and sell stocks of well established companies. Wealth building doesn’t have to occur just in your own lifetime, but can be spread out to other generations or offspring, that can help make a more secure future for them as well as your own retirement.